Update: Bethesda has announced on Twitter that the giveaway will run "through the weekend", giving everyone plenty of time to grab Morrowind and some handy mods to boot. If you're already logged into your Bethesda.net account, you can redeem the code straight away through this link. 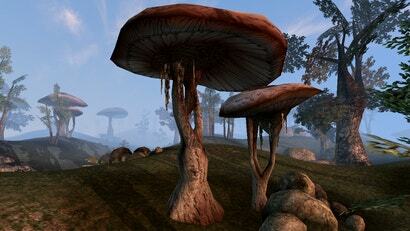 It's available for today only, although once you've got Morrowind there's plenty to explore. For one, the AI-enhanced mod Morrowind Enhanced Textures does a great job of upscaling a lot of the games textures. Skyrim: Special Edition is a mess. It's full of glitches, and even if the base game offers interesting stories, the remaster misses the mark. The Elder Scrolls can do much better. In fact, it already has. Let's take a look at the series at its best. Let's talk about Morrowind. Very pumped for this one. Best game in the series. Hell yeah, loved that game. Hope it holds until I get home from work. Rumor has it that it will be free until the 31st now, as their servers had problems in typical Bethesda fashion. I logged in specifically to tell all potential readers of this article: Get this god damned game. Even if you can't make it to the freebie it is today. It's worth a purchase. It's truly a masterpiece and was the foundation from which all following Elder Scrolls games took their guidance. I've loved all Elder Scrolls games, but this one in particular holds a special place in my heart. Morrowind is a great game hampered by truly dated design choices that make it a chore to play. No quest tracking is a pain as your journal fills up with nonsense quickly and can't be searched. But the real pain is the randomised combat. % chance to fail with melee, arrows and spell casting is not fun at all. I want to play archer but you have to hit AND have the % hit. Yeah. it was a masterpiece for its era, but with all the refinements to gaming since, you can really notice its age. Still a great game, its more the QoL changes you suggest. You notice them now when you wouldn't at the time. It's almost as if they're teasing us. Like they want us to know Morrowind is a great game and they're about to remake it with Skyrim systems. Yes god yes. THAT would be something to get behind. Do ALL the Elder Scrolls games in Skyrim, or better yet, whatever ES 6 uses - if its a new engine that is. Go back to Arena and Daggerfall as well, and remake those as well. They were brilliant as well in their own way. And like Morrowind, a reflection of the eras they were in, flaws and all. Then release them as a package deal to celebrate 30 years or something. Its a licence to print money. In before 17 new editions of a Morrowing remake. Oh, it's certainly not without its flaws, and it hasn't aged as gracefully as some games of that time, but it's still a wonderful game - Mechanical tribulations aside, the world building, narrative and political structures therein are still some of the best gaming has to offer. But in the end, to each their own. Some will enjoy it far more than others. And more importantly, free is free.